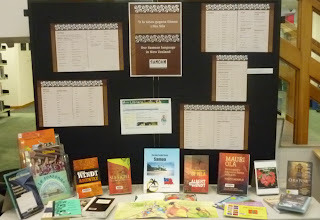 Samoan Language Week - Talofa Lava! Fafaga fanau i upu ma tala. Tautala i lau gagana. Feed the children with words and stories. Speak your language. 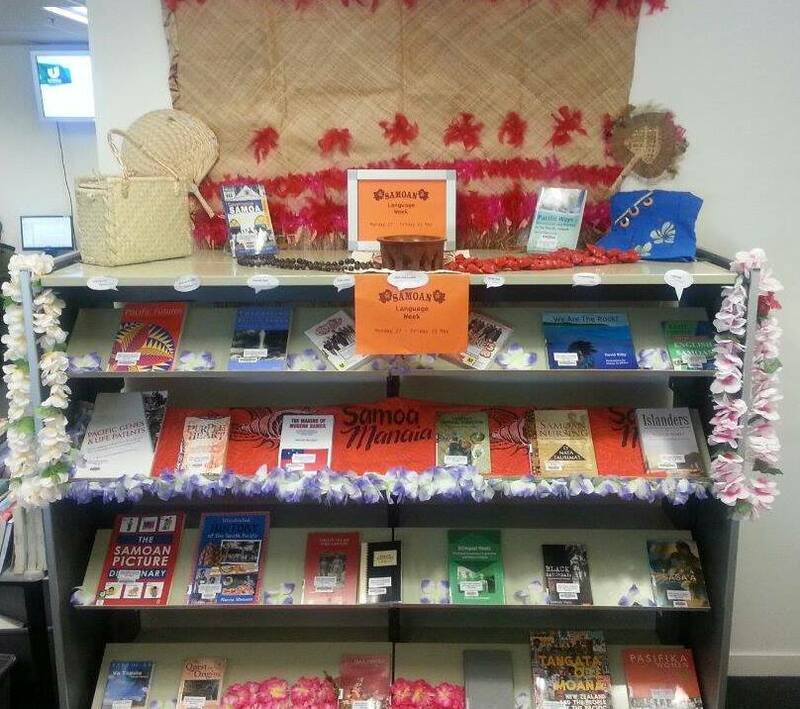 During Samoan Language Week there will be library displays at the Mt Albert Campus Main Library and Waitakere Library. We will be highlighting our Samoan language and culture resources - come and have a look! The Library recently launched a new Pacific Collection. This special reference collection is located on Level 3 of the Waitakere Library. The collection is specifically focused on Health and Social development as they are the main subjects taught at the Waitakere campus. 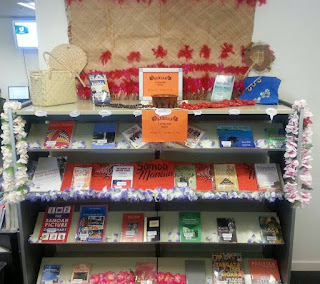 It contains books on Health, society, culture, identity, government reports and history of the Pacific Islands. As this is a reference collection, lending copies are also available for most of the items in the General collection on Level 2 of the Waitakere library. The launch of the Pacific collection on 3 April 2013. Librarians and staff from the Pacific Centre browsing the new Pacific Collection. You can now install Endnote X6 on your own MAC or PC computer/laptop. Endnote X6 is the version currently held at Unitec. To get your own copy of this, come into any Unitec library and ask at the desk. Staff will download the necessary files onto your flash stick, or you can take CD out on overnight loan to install it. During the mid-semester break (on Friday 26th April ) we upgraded our LibrarySearch software (Primo) to provide better access to mobile users. LibrarySearch now automatically detects the size of your device's screen and if the size of the screen width is very narrow it will display a mobile view of LibrarySearch that is more suitable for a small screen size. The mobile view of LibrarySearch is a simpler view with only one search option which searches the catalogue only. This search covers books and ebooks as well as journal titles and other items on our shelves but does not include articles. To use the full version of LibrarySearch with all its options just turn your device on its side (horizontally) so the size of the screen width is increased. OR if you prefer the simpler mobile view even with a wider screen you can force this by clicking the "Mobile" link in the footer. Please contact our electronic services team at libadmin@unitec.ac.nz if you have any questions or comments about this change. Text notices will not be able to be sent to your mobile phone during this time, however email notices will still be able to be sent so please check your email if you are expecting a notice from the Library during this time.